Los Rakas perform on Monday, Feb. 18, at HopMonk Tavern, 230 Petaluma Ave., Sebastopol. 10pm. $10. 707.829.7300. EDUTAIN US Grammy-nominated Los Rakas make the most of Monday with a concert in Sebastopol. Long-running concert series Monday Night Edutainment (MNE) at HopMonk Tavern in Sebastopol inspires a feeling similar to that of listening to a new album from a band you love: you hear the familiar beats and rhythms, but you also hear new sounds, sometimes surprising and out of character. For DJ Jacques, introducing audiences to new sounds is just as important as giving them the music they came for. This is the concept of MNE: music as not simply a form of entertainment, but also a channel for education. DJ Jacques has been DJ-ing HopMonk's MNE since its formation in 2001. His musical style starts with Jamaican bass and spins off to include hip-hop percussion or Latin rhythms, often playing with traditional and modern elements of reggae dancehall. "I don't believe in loving just one thing," Jacques says. Although the Monday nights are sometimes characterized as simply reggae nights, Jacques rejects this classification, as he often includes Latin, hip-hop and jazz artists, basing criteria of new artists on quality rather than genre. "My job is to get the artists the audience needs to hear," he says. "I find what is next, and curate the new stuff so that gems don't get overlooked." Jacques' knack for finding fresh talent comes from years of musical obsession. He was introduced to the world of music at home; his grandfather was a musician in the Cleveland symphony and his uncle, a conductor at the Metropolitan Opera. "Ironically, my mother is deaf," Jacques laughs. "Which is honestly a huge part of how I got into music." When his mother would send Jacques to bed, he would bring the radio with him. "I was addicted to staying up late and listening to the top 100 countdowns," he says. Maybe it was the late nights with music beating beneath his sheets, or shouldering records across Europe and Central America, or maybe it's just hereditary, but Jacques holds a natural inclination for musicians on the rise. 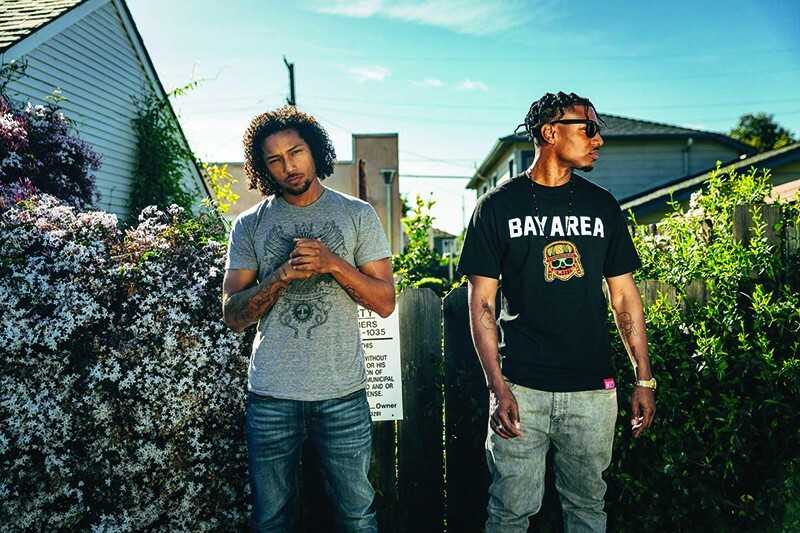 On Feb. 18, Jacques hosts Grammy-nominated group Los Rakas (pictured), a band melting Spanish beats and lyrics into Oakland-style hip-hop. As with every Monday concert, expect a night filled with "edutainment."